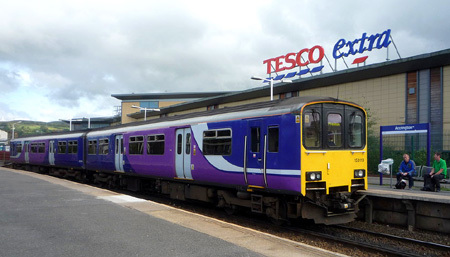 The British Rail Class 150 Sprinter is a class of diesel multiple-unit trains. They were built by BREL, York between 1984 and 1987. A total of 137 units were produced in three main subclasses - 150/0, 150/1 and 150/2.